Normally, when people say they’re working on “the coolest thing ever”, we raise our eyebrows in skepticism; but when SpaceX says that… we give them the benefit of a doubt. I mean, they’re doing some pretty monumental things as it is, and when they are excited about something, we are excited about something. If you’re not aware what this company is and what they do, let me quickly put you up to date. Space Exploration Technologies Corporation (SpaceX) is an American aerospace manufacturer founded by Elon Musk with the goal of improving and refining sub-orbital travel and ultimately enabling the colonization to Mars. In other words, they now fly shuttles into sub-orbit and onto the International Space Station – the first ever private company ever to do so. But always, in the back of their minds, they have the idea that we should get to Mars. The hint that something new and awesome is happening came from a Tweet released by Chris Bergin, the managing editor and founder of NASASpaceFlight, a reliable news site dedicated to space travel. This comes right after Elon Musk did an “Ask Me Anything” on Reddit, where he said that they’re already working for the transportation to Mars. 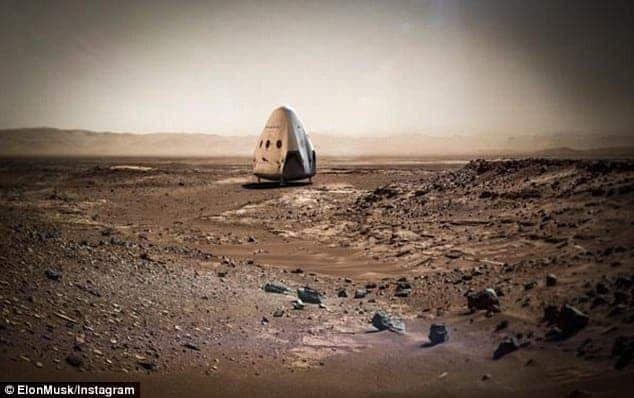 Several media outlets have asked SpaceX for comment but the corporation didn’t answer – but it seems quite logical to put the two together and reach the conclusion that there’s something about the new transportation system to Mars, they’re probably reaching a significant breakthrough. Sure, we may be overthinking and exaggerating things, but hopefully, we’re not.